Meanwhile, i24News reported that during an election rally on Sunday, Turkish president, Recep Erdogan screened a video from Friday’s shooting attacks in two mosques in New Zealand. Erdogan screened the footage at televised rallies in Istanbul and Tekirdag despite the authorities in New Zealand calling for a halt to the videos being shared, as well as an attempt by Facebook and Youtube to delete the videos circulating. At the rally, ahead of the March 31 local elections, Erdogan claimed that the manifesto by the attacker Brenton Tarrant “targeted Turkey and me,” according to Bloomberg. 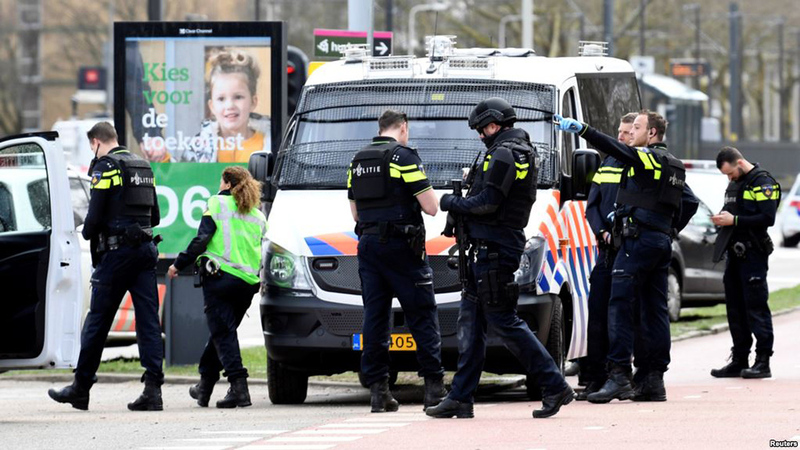 Earlier Monday, the Dutch national terrorism chief said the incident on the tram was one of “multiple” shootings in the city. “The surrounding area has been cordoned off, and we are investigating the matter,” Utrecht police said.